The adidas F50 adiZero seems to be everyone with two legs’ football boot of choice at the moment, having converted key players from Nike and Puma into super-light adidas cleats over the last few months. But this weekend in the Premier League saw a mini-revival for the big American brand, as they converted two players away from the adiZero and pilfered a player from Puma! Since his move to Aston Villa, Ireland seemed to have settled into the adidas F50 adiZero, so it was a surprise to see the midefielder turn out against Chelsea in launch-colourway Superfly II‘s! 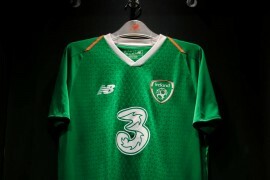 As you can see from this close-up, Ireland is even sporting the NikeSENSE soleplate, which is unusual as many players have switched to an SG soleplate to cope with the changing weather conditions. This is very interesting, as Ireland has always been super-picky about his football boots, especially the Mercurial series. When many players were making the switch to the then-new Superfly‘s, Ireland refused to part with his beloved limited edition Mercurial SL‘s! 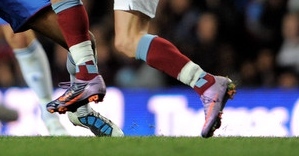 John Carew has had an interesting 6 months in terms of football boots. 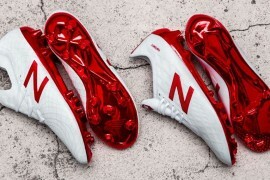 The Norwegian forward ended last season as one of the key wearers of the Puma v1.10, put played the majority of pre-season and the first 7 games of the Premier League in the adidas F50 adiZero. Carew was then spotted training last week in a pair of Superfly II‘s, only to turn out for this weekend’s game against Chelsea in the Tiempo Legend III. Phew! We can only guess that Carew was plumping for old-school comfort after having missed games due to various knocks and niggles. 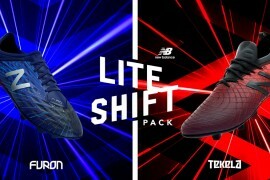 Finally, Liverpool’s Raul Meireles shocked everyone by turning out in a pair of Tiempo Legend III‘s as Liverpool slumped to a 2-0 defeat at the hands of Everton in this weekend’s Merseyside Derby. Meireles traditionally opts for the Puma King XL, but recently has been spied on international duty in a pair of the v1.10 speed boots. It’s interesting to us that Meireles has snipped the tongue off his Legends too, as this was something that he seemed to prefer on his Puma Kings as well. Presumably he hates having the tongue flapping about, or thinks it provides a better surface for ball control. It’s a shame that the Portuguese’s change in football boots didn’t bring his team a change in luck! Needless to say, we’ll be watching this trio very closely over the coming days to see if they stick with their new boots, or switch back to their old ones. If you spy any of them in training, be sure to drop us a link to the image in the comments! every since i tried the adizero’s on, although they were gloriously light and comfortable, i always doubted their durability, maybe that could be a reason for the change? AdiZero leathers are probably the bestest boot yet. 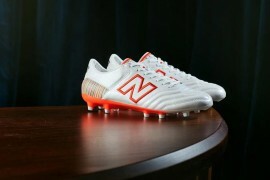 It has the touch and feel of a leather and the lightness of a speed boot. Unless you like fins of the power boots, otherwise it’s really hard to trump. P.S. The adiZeros that Nani wore against West Brom had stitching across the toe, suggesting leaather. I think, adizero is a nightmare for Nike because now they have to pay horrible money middle class to players who wore vapors for nothing some months ago.I think also some players wear adizeros to get more money/better contract conditions from Nike. Good job adizero. 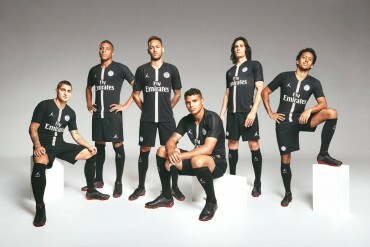 Look at Chelsea, Nike tries to buy all players even Bruma switched to Lasers, they know Chelsea and City will be the only succesfull clubs for next years. 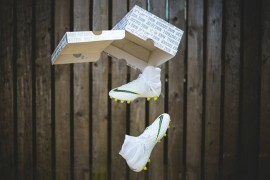 Sorry don’t care what adidas or nike offered I would never wear a Superfly II or an F50 Adizero, hate them both. I tried out a pair of adizeros for a game last week and they tore right down the space between the upper and the outsole. Plus believe it or not my feet are too narrow for superflys. If I ever get to a level that high I will stick with my trusty Vapor III’s they’ve never let me down. I love to see vapor III love. I still play in mine, and I own adipures, preds, lasers, legends, vapor IVs and Vs. all kinds of shenanigans. But overall vapor IIIs, best boot ever. and the leather on the adizeros is crap. compared to traditional leather boots.